When a filmmaker succeeds with his venture, automatically the excitement surrounding his next film is vast. 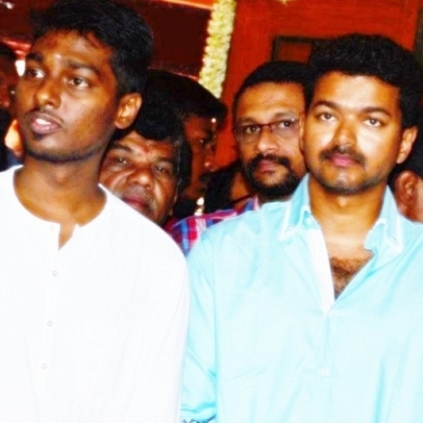 The hot cake in this regard is director Atlee and here we have a sneak peek about his plans for the future. Sources say that Vijay 61 will be an Atlee directorial for Sivaji productions. It should be noted that we had already reported about Sivaji Productions’ plans to make a film with Vijay and this option looks practical as Prabhu has worked with Atlee in Theri too. Simultaneously, the young creator is said to have had talks with Telugu star, Mahesh Babu too. But sources from the director’s camp affirm that the possibility of this Tollywood venture is less. An official word is the only means to put all this talks to rest! Stay tuned and we will update you! With Vadivelu after nine years! Details about 'Neruppu Da' song revealed! Theri Collects Close To 6 And A Half Crores At The Chennai City Box Office In 11 Days. People looking for online information on Atlee, Theri, Vijay, Vijay 61 will find this news story useful.